Affiliatly is simple and easy to use affiliate tracking software. You can control and track the entire affiliate earning and performance on your website. First, Setup your account on Affiliatly.com. You can setup your affiliates, commissions etc there. Know more. 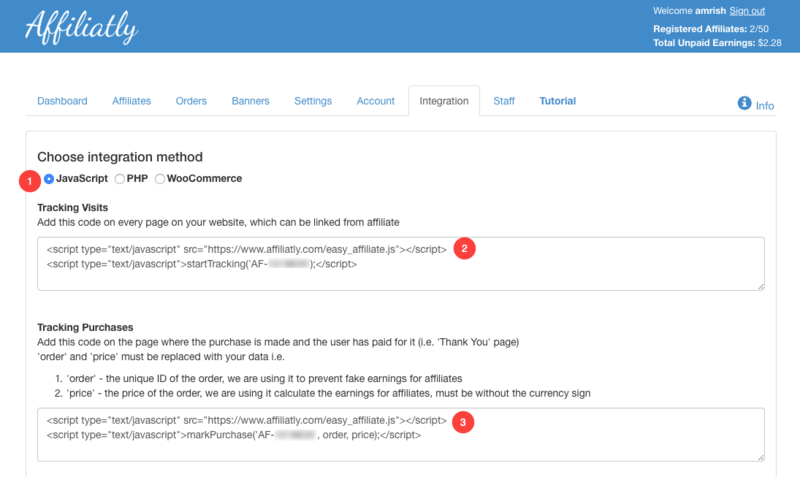 Now, Go to Affiliatly dashboard and copy the visits and purchase tracking snippet from the “Integration” section. First, paste the above copied tracking visit code in external script <head> section. 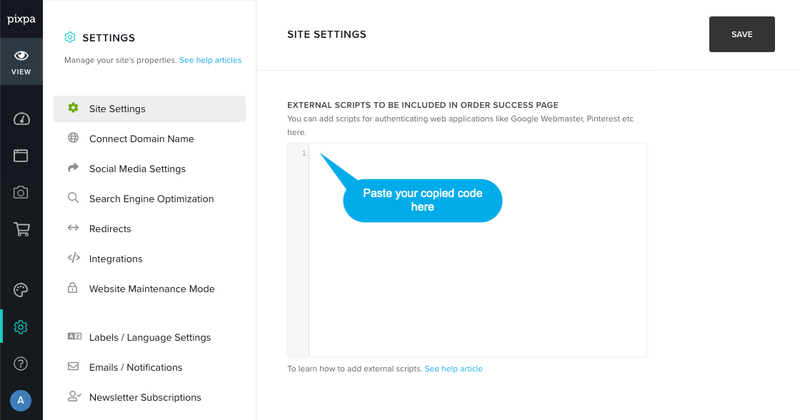 Second, paste the above copied tracking purchase code in external script <order success> section after changing the dynamic order variable. Scroll down to know more.